The kitchen is the heart of the home, and the counters are the main part of the kitchen. They get more traffic than any other place in the home. 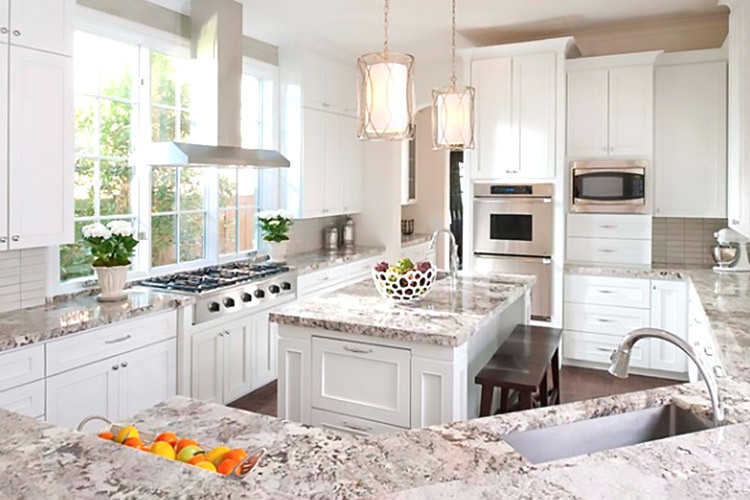 If you want to turn your cooking area into something spectacular and full of vibrant color and positive energy, then gemstone countertops are a good place to start. 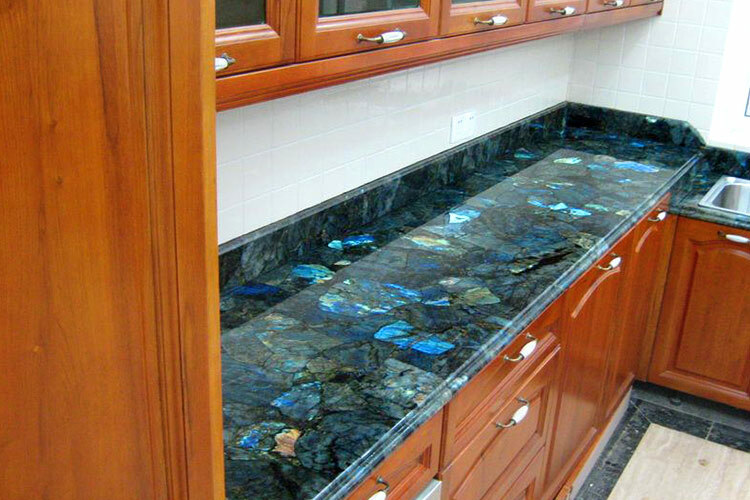 Gemstone countertops are made from semiprecious stones like Hematite, Tigers-eye, and Amethyst embedded in a resin base. 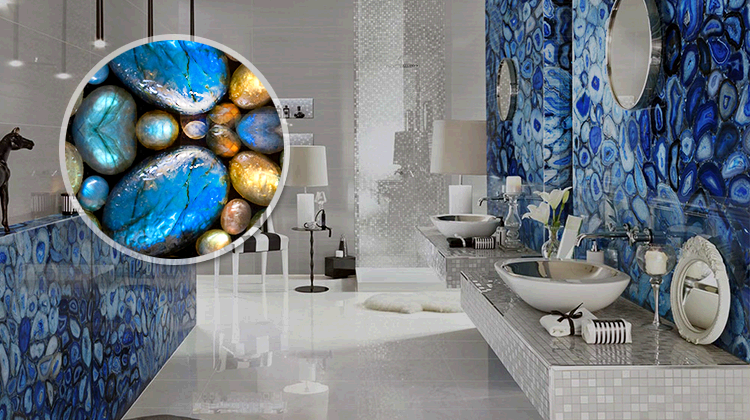 Gem Surfaces is one such business that has developed a special technique that lets them place the gemstones together into a durable mosaic like no other. The result is breathtaking. Besides being unique and gorgeous, these countertops are stain and heat resistant. They are also easy to clean because they are non-porous. 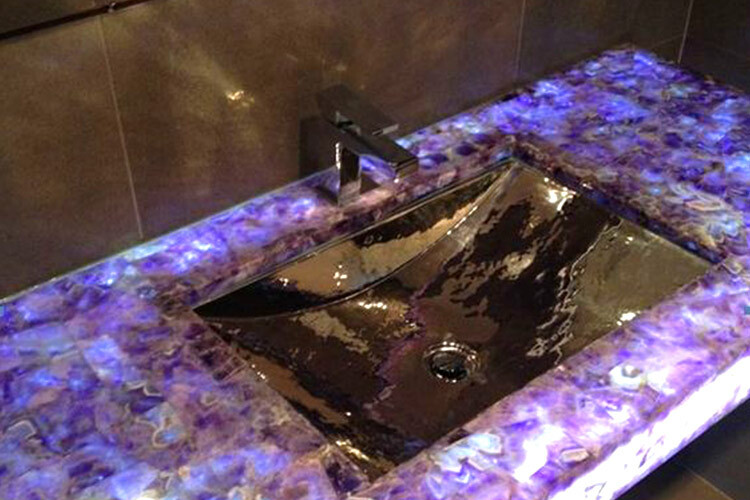 Amethyst is a semiprecious stone and one of the most luxurious countertop options available. 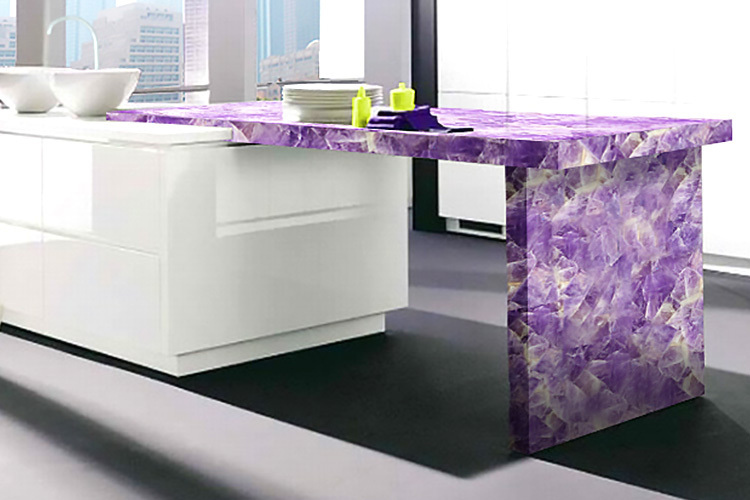 Washed with rich violet and purple tones, these slabs reflect elegant quality and dazzle amid intense light. With an enigmatic and intriguing crystal-like quality, amethyst stirs the imagination and inspires creativity. The use of white tones in this kitchen complements to the bright purple tones of the countertop and helps the countertop to stand out from the rest of the décor. The elegance of amethyst works well with both traditional and contemporary luxury designs. 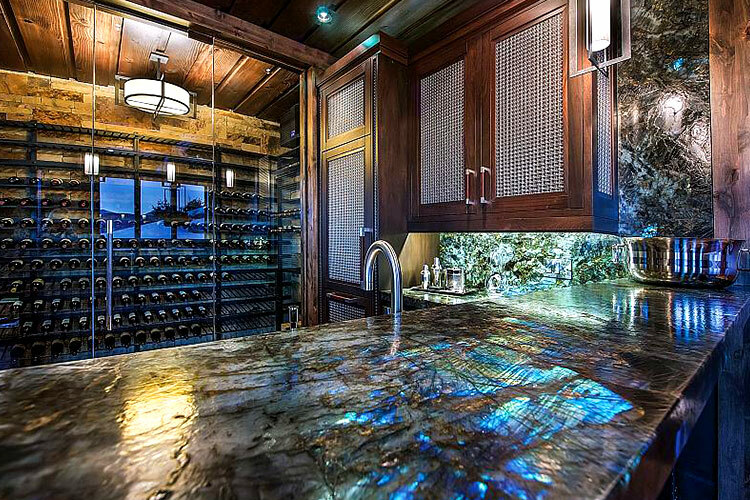 The strength and luster of quartz kitchen countertop makes this kitchen an elegant choice for all who admire the beauty of real stones. Quartz surface is exceptionally tough and hard. It is also smooth and non-porous, perfect for resisting even the toughest spills. 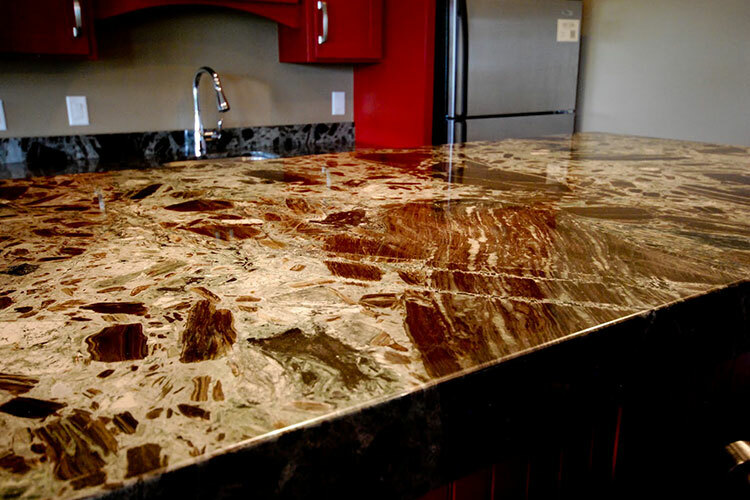 Without the use of waxes or sealants, a quartz countertop can retain its luster for many years. Quartz is the style chameleon of countertops. 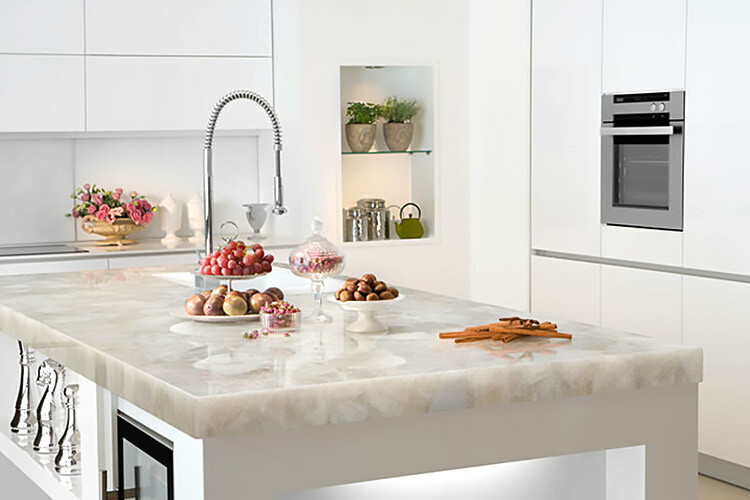 Whether you like modern or traditional, apple green or ecru, refined or honed, patterned or speckled, there are a myriad of options in quartz. 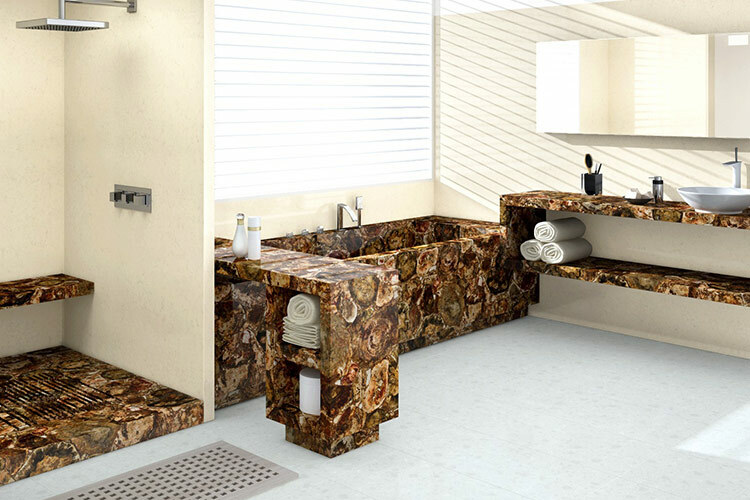 It also works beautifully with traditional design materials like glass, chrome, stainless steel, brass, tile, wood, etc. The look of natural stone is undoubtedly contemporary as well as sophisticated. So, it is a viable option when you decide to transform your outdated kitchen. Nothing will be better in terms of durability and elegance. In the picture, the deep color of the countertop goes in line with the dark-colored wood cabinetry. The white upholstery of the chairs and the floor contrasts and highlights the countertop. In addition, proper and adequate lighting helps the semi-precious multi-colored natural stones glow. Petrified wood is composed of fossilized trees. No two pieces of this material are the same. Therefore, it produces an exotic and lustrous look. It is incredibly durable and is harder than standard quartz. These slabs reflect a fossil that is over 200 million years old! The softly blended brown shades project strength, beauty, and grace. The luxurious surface of a petrified wood countertop will imbue any well-decorated and designed kitchen with a remarkable finished look. 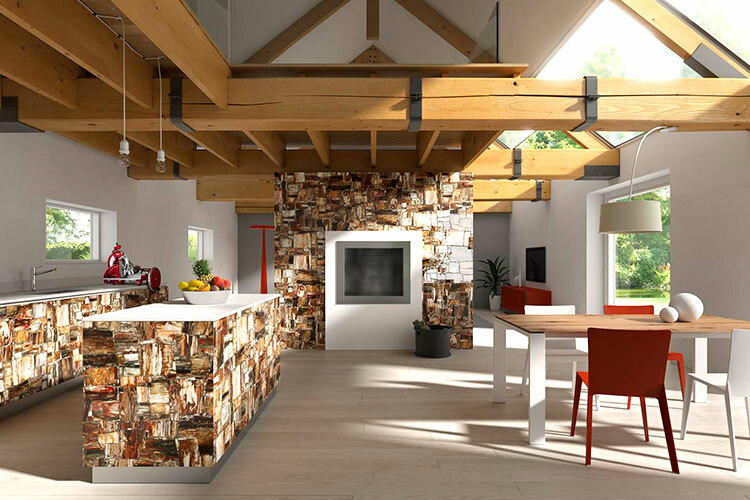 The hardness of petrified wood combined with its exceptional beauty makes it an ideal option for kitchen countertops and other places around the home! 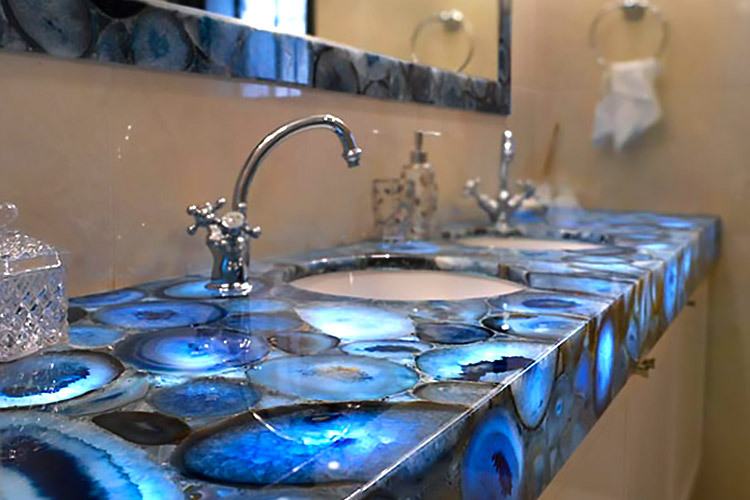 Gem Surfaces is not just about countertops. They have many other ideas for application. It is best to stop by and visit them at the Scottsdale Design Center in Scottsdale Arizona and see the beauty yourself! Our aim is to make your day taste much better with full of fun with collection of the best family-friendly content across the web(online) that informs, inspires and entertains.